Ben Folds covering the Beatles? I know he did a cover of "Golden Slumbers" for the "I am Sam" soundtrack, and he covered "Honey Don't" which the Beatles covered too, but does anyone know about any other Beatles/McCartney/Lennon/Harrison/Starr covers he did? I see that there is evil, and I know that there is good, and the in-betweens are never understood! Re: Ben Folds covering the Beatles? O: "What are your influences?" BF: That one's a real drag. It's dumb, because influences are by nature subconscious; you're not aware of them. You don't know. Say I'm the biggest, well, Joni Mitchell fan. Maybe not the biggest, but I love Joni Mitchell. I'm not gonna sound like Joni Mitchell. [Laughs.] Why would I want to sound like Joni Mitchell? I've got Joni Mitchell records, and they're great, and I couldn't possibly be that good. If I love her, that's what I'm gonna think, right? So maybe I'll pull influences from things I'm not aware of, things I've heard on the radio, maybe the Bee Gees. Now, I don't own a Bee Gees record—I don't care about owning a f*cking Bee Gees record—but I know that we sound like the Bee Gees sometimes when we're joking around. And that must be where it came from. I don't own any Carole King records, but I think there's influences there. Todd Rundgren... A lot of '70s stuff that I heard on the radio, I don't buy those records. But that's part of your sensibility, so those are influences, but you don't want to sit there and rattle them off, because you find yourself not being able to hold a conversation with someone about it. It's like, "Yeah, The Beatles, big influence," and I can't tell 'em five f*ckin' Beatles songs. Influences are subconscious, and when people ask that, I'm like, "Uhhhhh, I don't know." There are certainly some hints of Beatles in his music, such as Hospital Song (Lucy in the Sky with Diamonds) and Jane Be Jane (Harrison's I'd Have You Anytime). Ben seems to be decently good friends with Ringo. 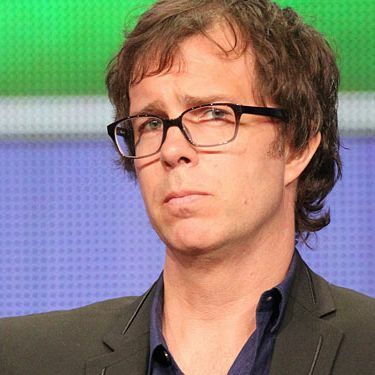 mel (1:10:14 AM): love ben folds or burn! I honestly don't know if I take much of what Ben said early in his career seriously. It's funny, because he is by far my favorite person to read interviews by, I think his view on life and angle on music is so unique and humbling. This is a side of Ben that I didn't see emerge until the mid 2000's, however. Prior to that, especially in the BFF days, he was NOT a chatty stage presence , and he gave almost nothing but sarcastic remarks in interviews. He was also no stranger to putting down other musicians, especially those he was compared to (Joel!). In the end, I think it was just a young man trying to feel comfortable in his newly famous skin.